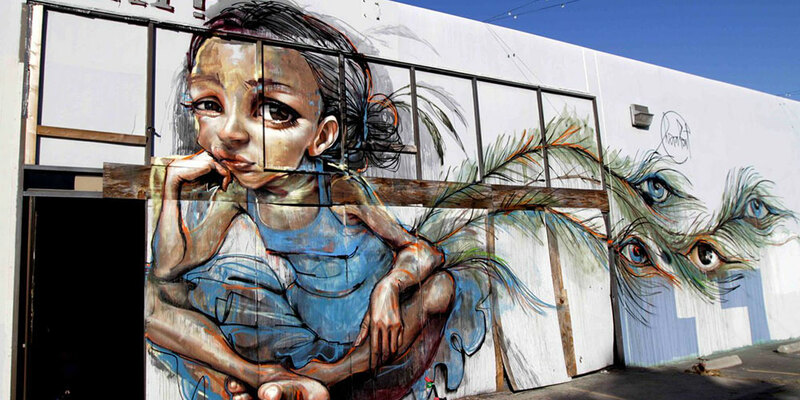 Since 2004 the German street art duo Hera and Akut form a fruitful partnership having worked together on various successful global art projects. Their art works can be found in big cities around the world – from Toronto to Kathmandu, from San Francisco to Melbourne. Their joint creative art process is dialogical, among themselves as well as towards the outside by embracing the public. It’s about storytelling, the creation of imaginary worlds and inspiring their figures with individual characters. 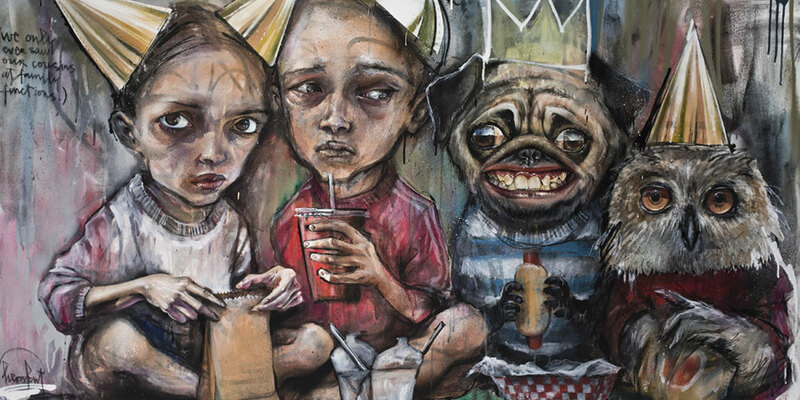 Hera sets the characters’ form and proportions, whilst Akut paints the photorealistic elements. The further process is determined jointly by the two artists. Together they experiment with different formats, materials and methods. Their art works ‘natural home’ is the public space, where everyone can take a pause from the city buzz in front of one of their massive murals. Equally, their gallery pieces, installations and canvases are characterized by their narrative style and their ability to lead the viewer into the imagination of those two exceptional artists. There is a pictorial and textual component in their art pieces. The short quotes, passages or descriptions written next to the figures are references to the character’s life. As a central theme, their figures can be seen in the context of social fractions and collective constraints, but also embedded into fabulous quotes that tell us of love. Thus, the figures reflect the diversity of life.